It would be nice if every mattress was absolutely perfect. But some mattresses are just too firm or don’t offer enough pressure relief to relieve pain, or even worse; they cause you to wake up in pain. Luckily there are mattress toppers or pads that can help make an uncomfortable bed more comfortable. The purpose of a mattress pad is to improve sleep quality without making you buy a whole new bed. Two of the most popular kinds are an egg crate topper and a memory foam topper. We’ll compare both so you can decide which one will help you get the rest you need. When it comes to egg crate vs. memory foam toppers, there’s a big difference in the ability to relieve pain and pressure. The bumps and dips of an egg crate topper contour to the body to provide support, reduce pressure points, and help you sleep comfortably – at first. But egg crate topper foam is thin and pliable, so after several months of use it will break down and leave a permanent indentation where you lay, reducing its ability to relieve pressure. Standard memory foam tends to hold its shape better, making it more effective at providing contouring pressure relief for a longer time. A memory foam topper is strong enough to support even those who weigh more and allows side sleepers to rest comfortably by relieving pressure in shoulders and hips. Once you roll over or get up, memory foam “remembers” its original shape and bounces back. Egg crate toppers are popular with healthcare facilities because they allow air to flow under the patient, which is important for preventing bed sores and fevers. 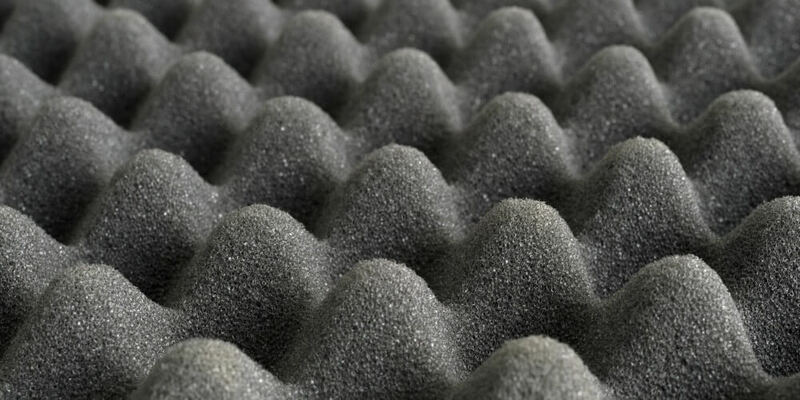 But while egg crate foam’s design makes it breathable, it can be hot to sleep on in summer months. Memory foam is known for retaining heat. Since it’s usually not as breathable, it can cause you to wake up sweating. One suggestion if you like the feel of memory foam is to look for a gel memory foam topper, as it keeps you cool while you sleep. Since the purpose of a mattress pad is to extend the life of your current bed or make a dorm bed more comfortable, you’re probably not looking to spend a lot. Egg crate toppers are usually very affordable, but again, they don’t last as long. Memory foam toppers cost more, but you can use them longer since they don’t break down. As you can see in our comparison of egg crate vs. memory foam toppers, both types have advantages and disadvantages. There is one other kind of mattress topper that offers the benefits of both toppers we compared and fewer drawbacks. DormTopper is made from several materials that can improve your sleep experience for an affordable price. Regulates Temperature. Dense soy-based gel foam and breathable bamboo fabric keep you from getting hot, while moisture-wicking New Zealand wool keeps you cool in summer and warm in winter. Durable. Dense foam and wool last long enough for you to get more years out of your mattress. Clean. Hypoallergenic and antibacterial materials protect you from germs and also deter bed bugs and mites. Affordable. At $119 for a twin or twin XL, it comes at a cost you can live with, and it’s totally worth it. Ready to Start Loving Your Bed?